There are so many styles of soup, anything goes in the pot and becomes a banquet. 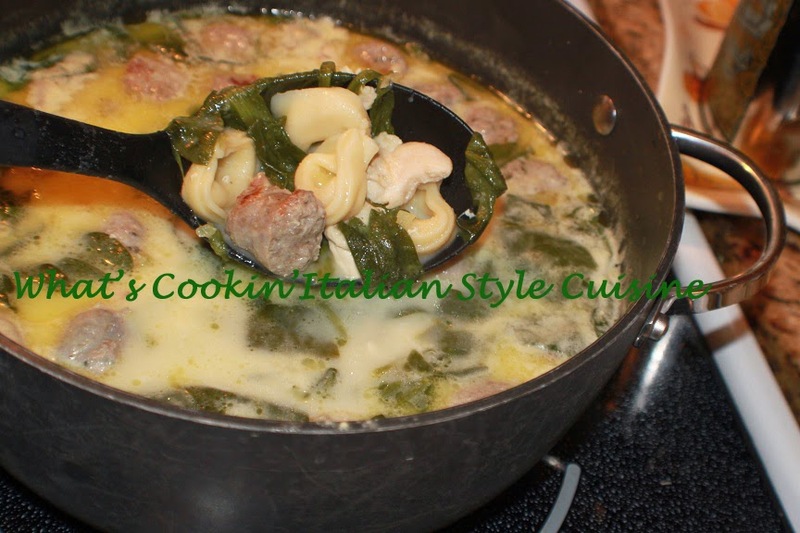 I decided one day that I was going to make a soup that had the flavors of cheese, cream, spinach and sausage in a chicken broth but heartier. This soup was such a hit with everyone I didn't make a big enough pot. 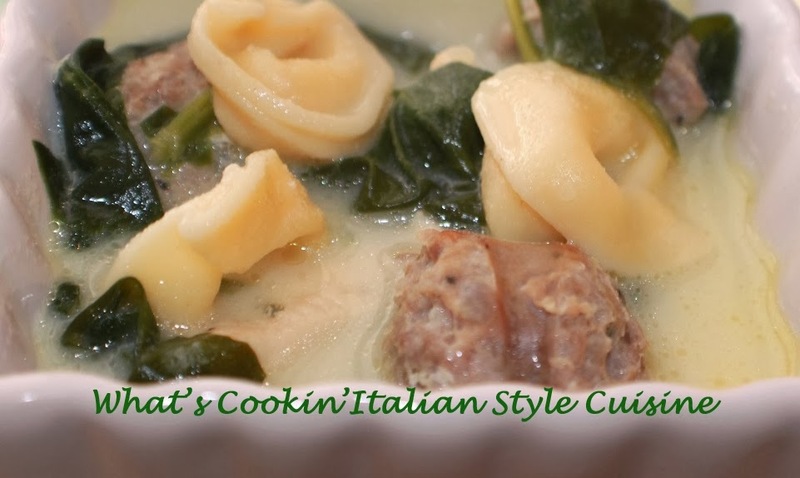 The tortellini and sausage made a delicious addition to the broth and was packed with the flavors of buttery cream sauce a little like Alfredo would taste. Pan fry in 2 tablespoon olive oil the sausage, potato and chicken together until cooked around 5 minutes stirring, add the spinach and garlic cook until wilted. Add the water, chicken broth, wine if using, garlic powder, parsley, salt, pepper, bacon and cook until the chicken is tender and the flavor around blended, around 35 to 45 minutes on medium heat. In the meantime cook the pasta, drain. Add drained pasta and cheese when the soup has finish cooking, stir in cream, butter and heat just until butter is melted. Note: If you prefer a thicker soup add some water and cornstarch or flour to thicken this up or just sop it up with a nice loaf of garlic bread.